Health Care's a Big Issue. Who Covers Candidates? Health insurance is turning into a top-tier issue in this year's presidential campaign. We asked the presidential hopefuls about their own coverage — and that of their staffs. Not everyone was talking. Health Care's a Big Issue. Who Covers Candidates? Some of the presidential candidates told NPR what kind of health-care plans they had and whether they offered coverage to their staffs. Others declined to divulge details. 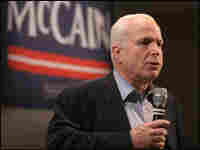 Sen. John McCain (R-AZ), shown speaking at a New Hampshire town hall meeting that covered health care and other topics, has a variety of health plans available to him, like most Americans older than 65. This story started out innocuously enough — with an e-mail from Ruth Lezotte, of Okemos, Mich., who wanted to know where the presidential candidates get their health insurance. Read Julie Rovner's reporter's notebook on why such seemingly innocuous information turned out to be surprisingly hard to come by. 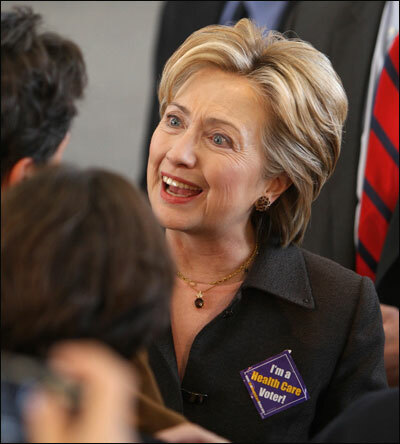 Sen. Hillary Clinton (D-NY) campaigns in New Hampshire wearing a button that reads, "I'm a Health Care Voter!" 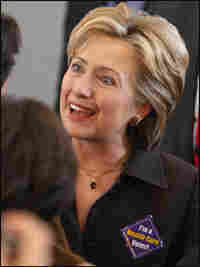 Clinton helped push an unsuccessful health-care plan in the 1990s, during her husband's administration. Former Gov. 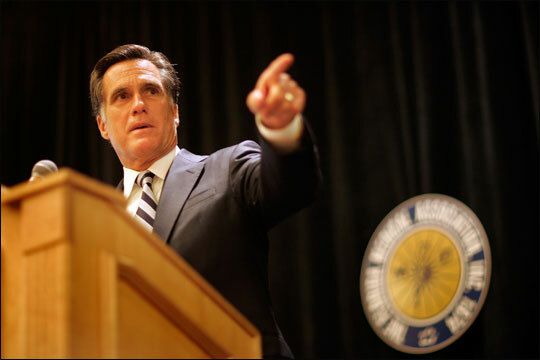 Mitt Romney (R-MA) spoke about his plan to support free-market health-care reform at the Florida Medical Association in August. Romney's campaign declined to reveal his own health-care coverage, although he's required to have it by a law he helped pass while governor of Massachusetts. 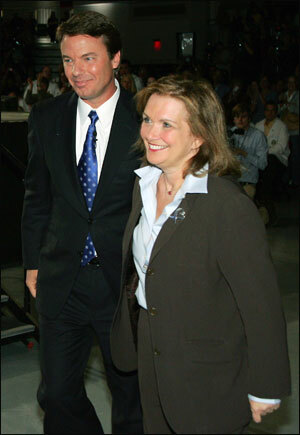 Former Sen. John Edwards (D-NC) and his wife, Elizabeth, shown leaving a health-care forum in March 2007, receive coverage through his campaign. It can be difficult for those with pre-existing conditions, like Elizabeth Edwards, who is being treated for cancer, to get coverage. Health insurance is turning into a top-tier issue in this year's presidential campaign. Just about every Democratic and Republican candidate has a plan to remake the nation's health-care system. But what kind of insurance cards do the candidates carry in their own wallets? It turns out that this year, many of the Republicans and Democrats running for president are sitting members of the U.S. House or Senate — and are thus eligible for taxpayer-subsidized coverage through the Federal Employee Health Benefits Plan. But not all of the candidates depend on that coverage exclusively. 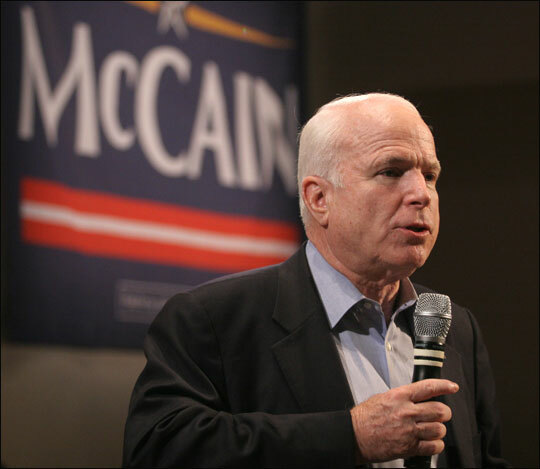 Like many Americans over age 65, Republican Sen. John McCain (AZ) has a variety of health plans available to him. "I'm eligible for veterans' care, because of having served in the military, and I'm most proud of that," McCain said in an interview. "I have the Senate health-insurance program, and I'm also part of my wife's supplementary insurance that she has." McCain is lucky to have so many insurance options, since he's a cancer survivor — he had surgery for melanoma eight years ago. In fact, according to Marilyn Moon, director of the health program for the American Institutes for Research, the federal employees program available to members of Congress really isn't all that gold-plated. "It's clearly a good plan; it covers all types of services that people would need, including prescription drugs, for example," she says. "But you pay co-pays and deductibles, just like most Americans who get their health care from employers." But what about candidates who don't have access to employer-provided coverage? Particularly those with pre-existing conditions of their own, or in their immediate families, such as the recurrence of breast cancer for which Elizabeth Edwards, wife of former Sen. John Edwards (NC), is being treated? Actually, it turns out that Edwards does get his coverage — and coverage for his wife — at work. "Our family gets our health insurance through the campaign," he said. "And it's Blue Cross." 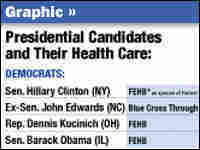 Indeed, almost all the Democratic candidates offer health insurance to their campaign workers. The lone holdout, ironically, is Rep. Dennis Kucinich, who advocates the most generous tax-funded health plan of any candidate. "We haven't been able to do that, because we have kind of a low-budget campaign, but we're actually looking into that," he said back in October. "It's something we want to do." A Kucinich campaign spokesman confirmed that, as of January, staffers still didn't have health insurance. Republicans, on the other hand, are a more mixed lot. McCain and former New York Mayor Rudolph Giuliani offer health insurance to their campaign staff; Reps. Ron Paul and Duncan Hunter don't, largely because staffers are volunteers. As for the other GOP candidates? Their campaigns wouldn't say whether staff is covered. And when asked how the candidates get health insurance for themselves, the campaigns of Giuliani, former Sen. Fred Thompson (TN), former Gov. Mike Huckabee (AR) and former Gov. 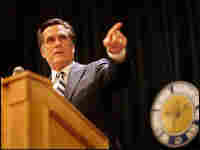 Mitt Romney (MA) wouldn't divulge details. It's worth noting that, as a resident of Massachusetts, Romney is required by law — a law which he helped pass — to at least have health coverage. It's a shame those candidates won't talk about their own coverage, says health policy analyst Marilyn Moon. Because knowing what kind of coverage they have would help illustrate how the health-reform plans they're proposing for everyone else — plans that rely more on having individuals buy their own insurance — might or might not work. "One of the difficulties in terms of assessing these health-care plans is actually illustrated by the situations of some of these candidates. Not all of them might qualify for good coverage under the plans that they have offered," Moon says. That's because Giuliani and Thompson are, like McCain, cancer survivors. And in the individual health-insurance market, says Moon, at least under current rules, people who have had cancer or another serious disease often can't buy health insurance at any price. "Having the money to pay for a plan is not enough. You also have to be able to get a plan if you have a history of health problems," she says. At their New Hampshire debate earlier this month, the Republican candidates all agreed that individuals need to take more responsibility for their own health care. But apparently, that doesn't extend to telling the voters how much responsibility the candidates themselves are taking. "Where do the candidates, especially the Republicans, get their health insurance? (Former New York Mayor Rudy) Giuliani had cancer a number of years ago — what free-market insurance company did he turn to? (Former Sen. Fred) Thompson had/has cancer. What free-market company is he using? (Former Massachusetts Gov.) Mitt (Romney) doesn't seem to have a job. What free-market company is he using? What about (Former Sen. John) Edwards? What about any of the other candidates who are not in the Senate?" That was on Sept. 18, and it launched what can be described only as an odyssey. Rudin forwarded the e-mail to me, since I cover health care politics for NPR. He just wanted me to answer the question. But it struck me as not only a good question but a good story. Little did I know how difficult it would be to find out such seemingly innocuous information. Since I was busy covering the children's health-insurance debate in Congress and preparing for a series of health-care forums with individual presidential candidates, I assigned one of our interns to begin calling each campaign to find out not just how the candidates got their coverage, but whether their campaign staff got health insurance, too. 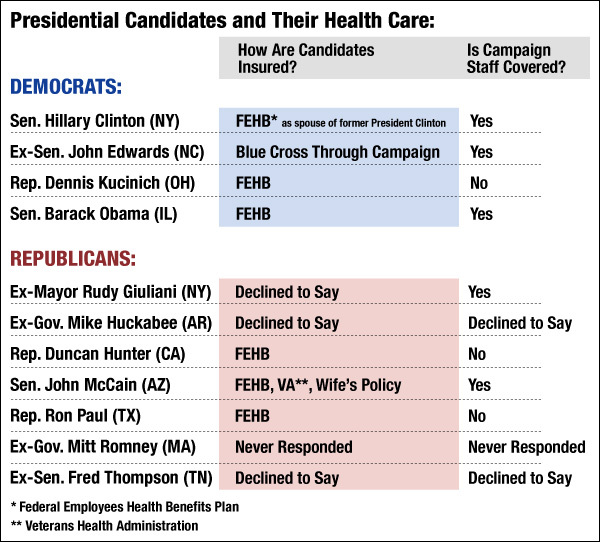 About three weeks later, the intern had determined the health coverage for exactly one candidate (Republican Rep. Ron Paul of Texas). So I took the task on myself. Surely, campaign spokespeople who wouldn't return a call from an intern would quickly respond to a nationally known correspondent? Several weeks, several dozen phone calls and even more unreturned e-mails later, I got my answer: No, they wouldn't. I did manage to corral several of the candidates (as you can hear in the story) either immediately before or after the health-care forums, since I was one of the questioners. But other than Edwards, candidates whose coverage was most potentially interesting remained: cancer survivors Giuliani and Thompson, and Romney (who helped sign the law that effectively required him to have health insurance). Thompson staffers said early on they didn't want to play — and simply declined to provide any information. Fair enough. But spokespeople for Giuliani and Romney and former Gov. Mike Huckabee kept promising they would get back to me soon. Days stretched into weeks. Thanksgiving came and went. So did Christmas. The Iowa caucuses approached. Finally, shortly after Giuliani's brief hospitalization in St. Louis for what was described only as "flu-like symptoms," a spokeswoman for him said the campaign had decided against releasing any information about his health insurance. Not long after, a Huckabee spokeswoman said her campaign had similarly decided that the former governor's health-insurance coverage "is not information that needs to be publicly available — but that health care remains one of the governor's signature issues." The Romney campaign never did respond to repeated phone calls and e-mails.